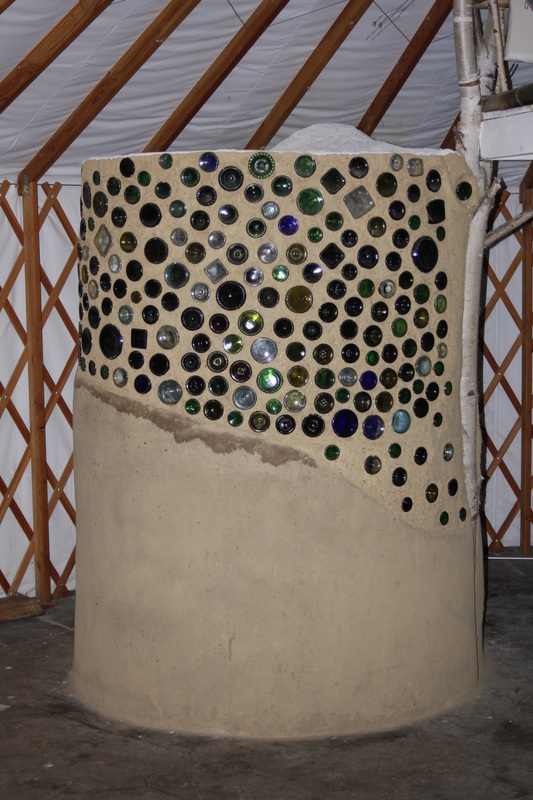 Discover the key concepts of earthen building using clay, sand, straw, and lime plaster on Quiet Creek’s Earthen Oven Construction. Since 1996, Quiet Creek Herb Farm & School of Country Living has been offering workshops on earthen building, an exciting part of our mission. Onsite, Quiet Creek offers a straw bale house; glass-lined, earthen yurt floor; sculptured earthen benches; and wood-fired earthen oven (to be rebuilt for intensive). Rusty, Claire, Walker and Ashton Orner, owners and stewards of Quiet Creek (a non-profit farm), will incorporate Quiet Creek’s model by teaching you how to master earthen building oven techniques in addition to insulation, natural colorants, and natural plastering. Nick Leone, an experienced builder, will assist during the intensive seminar. Nick renovated his entire house in earthen techniques The theory of earthen building will be applied in hands-on classes stimulating your intellect, your sheltering needs, and your do-it-yourself know-how. Over the intensive, you will enjoy a unique immersion experience as you absorb all the beauty and knowledge that Quiet Creek has to offer. Quiet Creek is an alcohol and smoke free environment with lodging that is rustic and primitive; accommodations on the farm will be based upon registration numbers and may include a yurt, straw bale house, a renovated barn, and/or tents. Delicious, locally and sustainably raised meals will be provided throughout the three days, and food preferences will be honored. All energy needed for the intensive will be produced on site with the solar array and wind turbine, and all waste produced on site will be composted! Cost: $200 which includes four relaxing days with practical experience and knowledge to incorporate earthen building ovens and seminars at your location, four whole food meals, and creative lodging. Attention: This workshop is limited to 20 students, so sign up early.